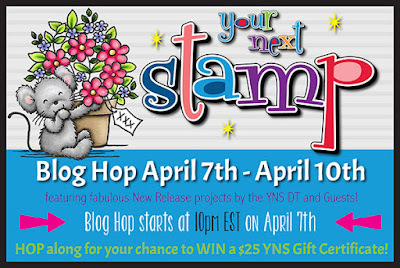 Hollybeary Creations : YNS April Release Blog Hop!! 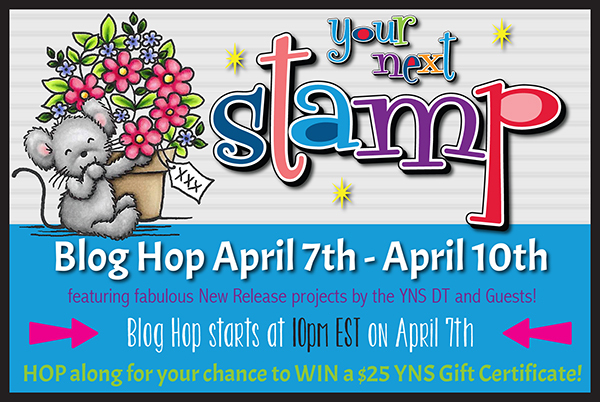 YNS April Release Blog Hop!! My first project features the new Smiley Happy Alphabet set and coordinating dies. I used a piece of the Fairytale Magic 6x6 Paper for my background and I die cut a start from some Yellow paper using the Strip-tastic Star Die set. I colored each letter in with Copic Markers and added some Sunset Sparkle Gumdrops for a pop of Glitter. My second project features my second Favorite set in this release...One in a Melon and the new Watermelon Party 6x6 Paper Pad. I die cut a piece of the Watermelon Party 6x6 paper with the Stitched Rectangle die set and adhered it to a Green card base. I added a vellum circle and some strips of coordinating papers for a sentiment banner. Then I stamped each of the images onto some Copic X-Press it blending cardstock and colored them in with Copics. I used the coordinating dies to cut them out. I adhered them with some foam tape. I wanted an extra pop of color so I added some Strawberry Gumdrops (retired). I also added some Clear Wink of Stella to parts of the images for some sparkle. Awesome cards! 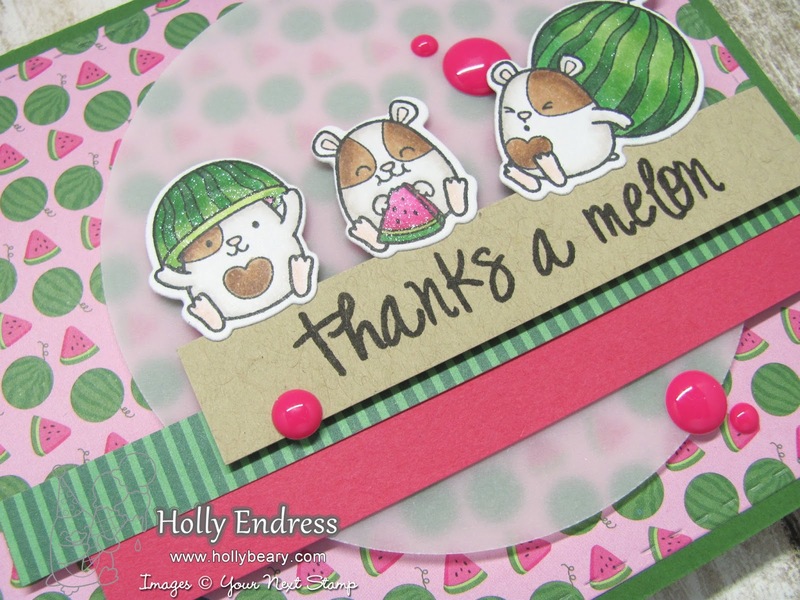 Those letters are fantastic and the melon and hamster... Love! Those letters are so fun and I am loving the new One in a Melon set-super cute cards! This hamster makes me an eye, it is really too cute! And then the staging of your card is just crazy! Congratulations for the work! I was hoping someone on the hop was going to use these letters and dies, they are so cute and love how you coloured them so brightly. And that little critter with his watermelon is so adorable!! Everything in this release is just so ... well, cuuuute! watermelon. That card is simply divine! Great cards! I love the color combos. Finding the right combination of papers is always a frustration for me. Thanks for the inspiration! Very nice!! The critters from One in a Melon are adorable. I just can't get enough of the Watermelon Party! Your cards are awesome! I love that you added Vellum on your second card!!! Great Release! Bright fun cards just in time for Spring! Both cards are really fun! Love the new papers as well. That alphabet stamp/die combo is pretty fun! I love that you set them off with those awesome stars. I totally love your watermelon card! It's just too cute! TFS! Cool cards, love that silly alpha set! Fun cards...those smiley alphabets are really cute. AHHHH! The watermelon card is my favorite of the hop yet!!!! Very cute card designs! There are some really fun new products in this release. Great creations. Love them both. The alphabet is fun and so cute. Adorable cards. 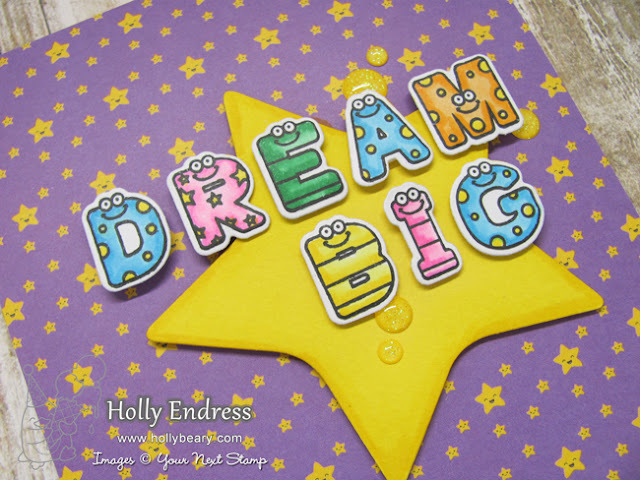 Love the DREAM BIG letters. Super cute!!!! Loving the watermelon paper pk!! You’ve made a cute and fun set of cards ! Your cards are super cute and fun ! Super cute cards - I really like the use of vellum.